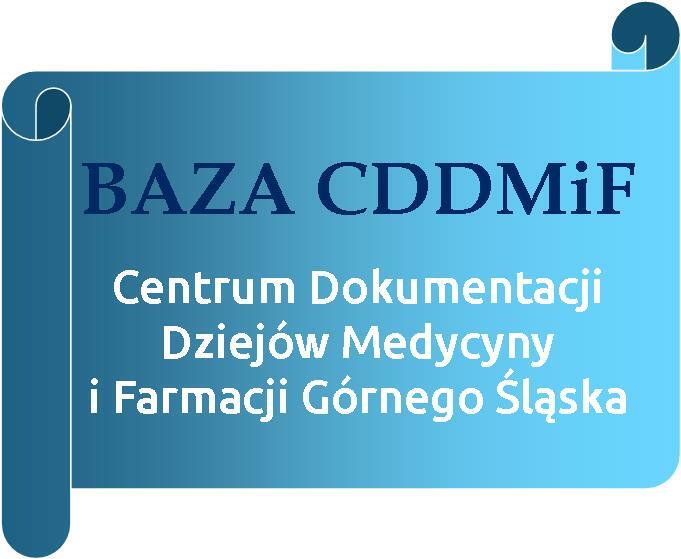 The Library of Medical University of Silesia in Katowice provides the library service to all users. Library collection is available: in reading rooms, by individual loans, by interlibrary loans, by payable photocopies and by digital copies. The user can ask the librarian for library and bibliographic information, as well as for help in using the catalogues. Complying with hereby Regulations is a condition of using the Library collection. On signing the Reader declaration reader agrees to the processing of his/her personal data in the library system and potential claims of the Library concerning damaged or not returned items. Personal Data is controlled by the Medical University of Silesia, Katowice. Data may be disclosed to third parties only on the basis of agreement entrusting data processing in accordance with Article 28 of Regulation (EU) 2016/679 of the European Parliament and of the Council of 27 April 2016 on the protection of natural persons with regard to the processing of personal data and on the free movement of such data, and repealing Directive 95/46/EC (General Data Protection Regulation). Providing e-mail address while registering at the Library stands for consent to receive library information by this mean. The reader is materially responsible for the damage of borrowed library items. c) other users – identification card. e) not complying with the provisions of the Regulations. In case of unsettling the obligations of the reader the Library can file a claim in accordance to valid law. The Price list for services offered by the Library is determined by a decision of a Rector. g) others, who reached the age of 18 - provided deposit has been paid. c) paying a deposit, in case specified in point 1 letter g). Library card entitles to borrow items. In case of SUM students valid student ID operates as library card. Library account is valid until October 31st each year. The prolongation of the Library account is done personally in the Library. The fees for issuing the library card, prolongation, making a copy are determined by the Price List for the services of the Library. The owner of the library card is responsible for its use. The Library should be immediately notified on the loss of library card, change of name, address or other data stated in the Reader declaration. Library is not responsible for the use of the library card or student card by third parties until the card user notifies otherwise. Failure to obey to hereby Regulations results in blocking the user’s account. Ordering of library item for lending is done after authorization in the library system on computer stand situated within the library or any computer connected to the Internet. The loan is registered in electronic library system based on the item barcode and reader’s card or student card. Items are lend for a period of time defined by a status in the electronic library system. Ordered item should be pick up within the reservation period, which is 7 working days (short-term loans i.e. one or two days are reserved for one day). If one does not pick up the library items, they are sent back to the stacks. Ordered library items are to be picked up personally by the Reader. g) others, provided deposit has been paid - 2 volumes. On borrowing the library items the reader becomes responsible for them fully and obligated to return them within the due date in the condition as on the moment of borrowing. The readers are obligated to check the condition of the item they borrow. All kinds of damage should be indicated to the librarian and noted while lending. The reader can borrow items after settling debts towards the Library. The reader is obligated to monitor the state of his/her account. The library system sends information on the upcoming due date of the library items via e-mail, however lack of notification (e.g. misspelled e-mail address or its lack, anti-spam protection systems) does not release the Reader from returning items on date. Loan period for library items can be prolonged if there are no requests from the other users. Prolonging is possible the latest on due date . In justified cases the Library can request the return of borrowed items before the due date. d) obligation to pay the fine determined in the Price list or providing items indicated by the Library of value corresponding to the fine. e) pay the equivalent in accordance to the rules indicated in Price list for library services. 3) presenting confirmation of returning books from other libraries with stamps of those libraries . e) damaged items, requiring conservation. 5) in case of readers who paid a deposit - resignation and withdrawal of the deposit. The employees and students of SUM, post-graduate students of SUM can, via the Interlibrary Loan Service, order necessary materials if they are not present in the collection of the Library and other libraries of Silesian agglomeration. Materials unavailable in Poland can be imported from abroad for entitled users. The Reader covers the costs of shipping the materials and correspondence costs. Imported materials are made available only in indicated reading rooms. Terms of using the ordered materials and the possibility of potential prolongation are determined by the lending library. The SUM Library has the right to decide on the type and number of loans from own collection to other libraries. Interlibrary loans from SUM Library collection is made to other libraries for the period of 30 days. Library materials are provided to libraries not to readers. The entire liability for the lent items is taken by the ordering library. In case of overdue loans overdue letter is sent obligating the library to immediate return. In case of loss or damage of SUM Library items lending library is obliged to repurchase it or pay the equivalent according to the rules in the Price list. Further rental from the collection of the SUM Library are possible only after settling the previous obligations. The libraries not applying to the aforementioned rules lose the right to use the collection of the SUM Library. The right to deposit loans is granted to individuals mentioned in paragraph 4 point 1 letter g of Terms and conditions. Library materials are lent by use of deposit for period of 1 month without the possibility of renewal. The library reserves the right to refuse to borrow by use of deposit titles of high interest of students and SUM employees. Decision about borrowing is considered each time individually. Deposit amount is calculated for each item separately based on the item market value. The amount mustn't be lower than minimal amount listed in paragraph V in the Price list. Deposit amount is subject to approval of the Director of the Library. Cashier's Office and paying-in slip should be submitted in the Library on the day of loan at the latest. Terms and conditions of overdue loans, lost or damaged items are the same as with other kind of loans. Returning the deposit on user written request follows timely item return. Deposit refund is made by bank transfer on the users bank account. In case of individuals mentioned in paragraph 4 paragraph point 1 letter g of Terms and conditions, the deposit will be credited on an account of the fine for overdue items after two overdue registered letters or if the overdue is longer than 2 months. after deduction of fine amount. The amount to return is ultimately approved by the University Bursar. Borrowed items should be return despite paying the fine from the deposit. The reader do not acquire ownership rights to damaged or lost items. Access to reading room is open, except paragraph 4-7.
e) restrain from using the mobile phone. The reader is materially responsible for all damages of the library item caused by him/her. All noticed defects concerning the item should be notified to the librarian by the reader immediately on noticing such defects. Computer workstations are intended for scientific or educational purposes only, especially for use of library catalogues and medical electronical resources. The library employee has the right to check the use of the computer station and refuse access to selected websites. The computer rooms at Education and Medical Simulation Center of SUM is to be used by the groups of users in accordance to the provisions of financing by the Program of Infrastructure and the Environment. The user who intends to use reading room at Education and Medical Simulation Center of SUM should make a reservation via Reservation system located on the web page of Center, or by phone. The rules for bookings are determined by the Head of the Center of Education and Medical Simulation Center of SUM. The computers in computer reading rooms at Education and Medical Simulation Center of SUM are started via Electronic employee cards and Electronic student cards. e) save information and documents on one’s own media, in accordance to the copyrights and conditions of the data distributors licence. Individuals using the reading room have free access to available collection. Part of the collection in closed stacks are made available based on filing an order. d) use computer stations for purposes other than scientific. Copies in the Library are prepared in accordance with the provision of the act on copyright and associated rights (Ustawa z dnia 4 lutego 1994 r. o prawie autorskim i prawach pokrewnych - tekst. jedn. Dz. U. z 2006 r. nr 90 poz. 631 z późn. zm. The charges for the services provided by the Library are increased by the VAT tax in accordance with valid provisions. The cost of sending the ordered materials are to be covered by the Ordering party. Ordered copies can be also received personally after previously contacting the Library. Non-invasive filming and taking photographs (e.g. with digital camera) concerning the part of the collection, within the scope of permitted usage stipulated by the act on copyright and associated laws, using readers’ own equipment is free of charge. Library materials can be ordered in electronic form, printouts and photocopies. Library is not performing photocopies from readers own materials. Readers who did not return the books on time or with other due obligations toward the Library are deprived of the right to borrow library items as well as to other services until they settle their obligations. The rules for vindication are determined by internal acts.